Libraries in the Witham constituency classified for closure (Tier 4): Hatfield Peverel, Kelvedon, Silver End, Wickham Bishops. 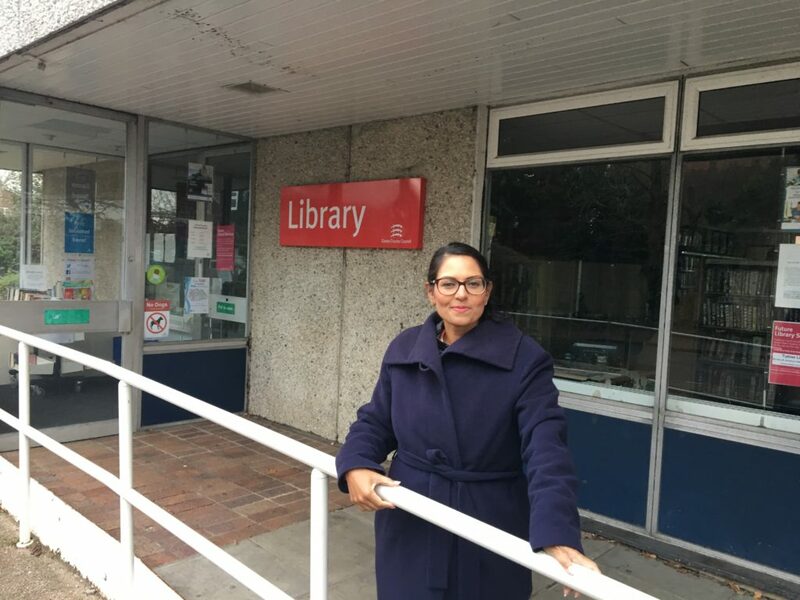 Libraries in the Witham constituency classified for closure unless community management comes forward to run the libraries (Tier 3): Coggeshall, Stanway, Tiptree. Libraries in the Witham constituency classified to remain open (Tier 1): Witham. Libraries outside the Witham constituency classified for closure (Tier 4) which are used by Witham constituents: Prettygate, Danbury.